Coup de Chocolat is the result of two people meeting up. Isabelle Quirynen has been active in the world of fine chocolate since years. She started out organizing tastings and followed through by setting up her own web shop and worked for one of the bigger distributors of fine chocolate in Europe. She traveled to many cocoa and chocolate producing countries. A while ago, she met her friend Tom Geens who was just recovering of a self proclaimed chocolate addiction. However, Isabelle lured him back to the dark gold, by inviting him on a trip to Peru. 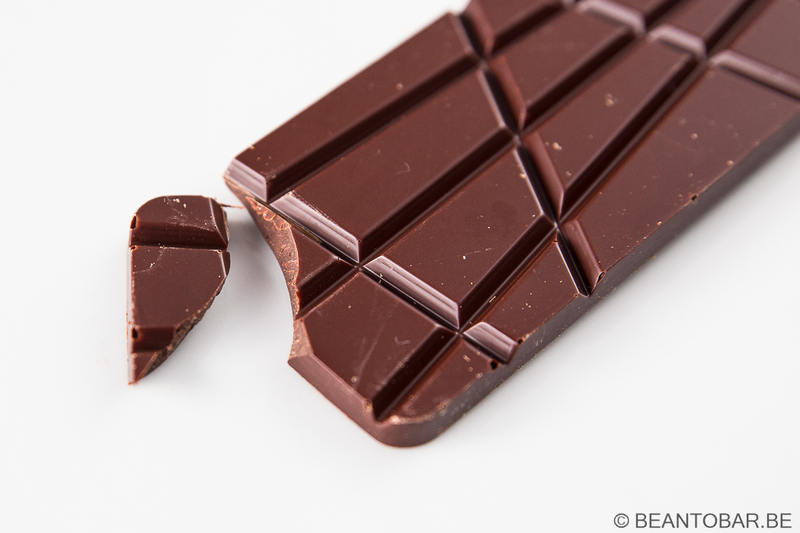 Several months and a lot of experimenting later, Coup De Chocolat officially launched their first origin bar. The Antwerp based company is striving to create stunning origin chocolates with eye for eco-sustainability. In Belgium, bean to bar producers are scarce, yet slowly we see artisan, small batch producers popping up all over the country. A trend I only can applaud, because after all, Belgium is known as one of the biggest chocolate countries. 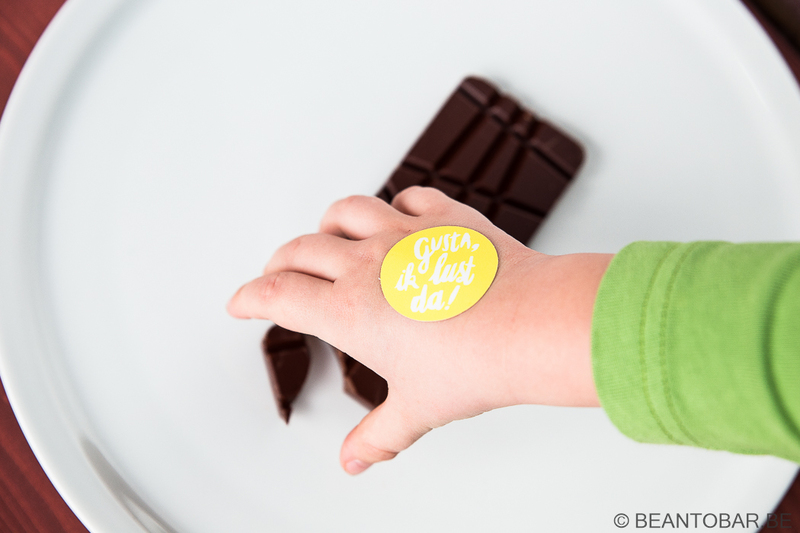 It is time we start to fulfill this title with real chocolate. 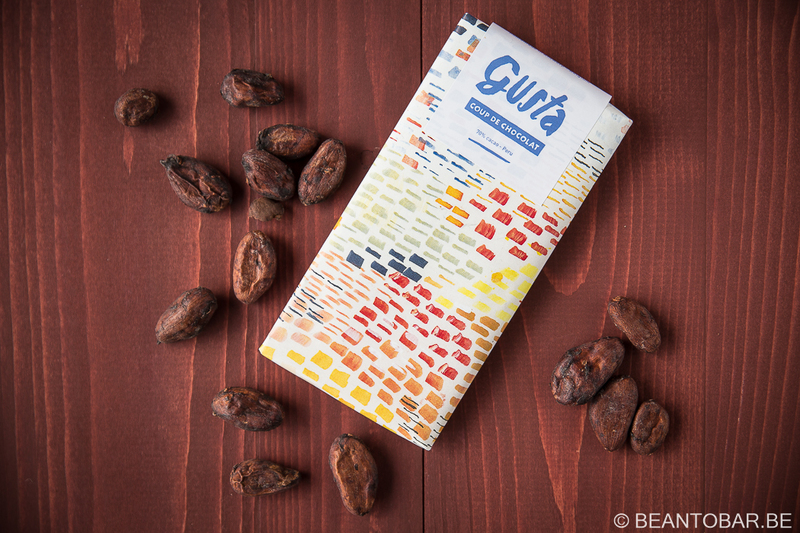 Today we have the Gusta bar from Coup De Chocolat in our hands. Made with Peruvian cocoa, sourced directly from the cocoa farmers in the Piura region – Northwest Peru. The package feels rustic. It might not be as sleek as other bars on the market, but it stands out. What I don’t really like is the fact that you have to rip the sicker with all the information to get to the bar. It makes it hard to rewrap after sampling. Inside the outer wrapper, there is a nice golf foil. Next appears the bar. 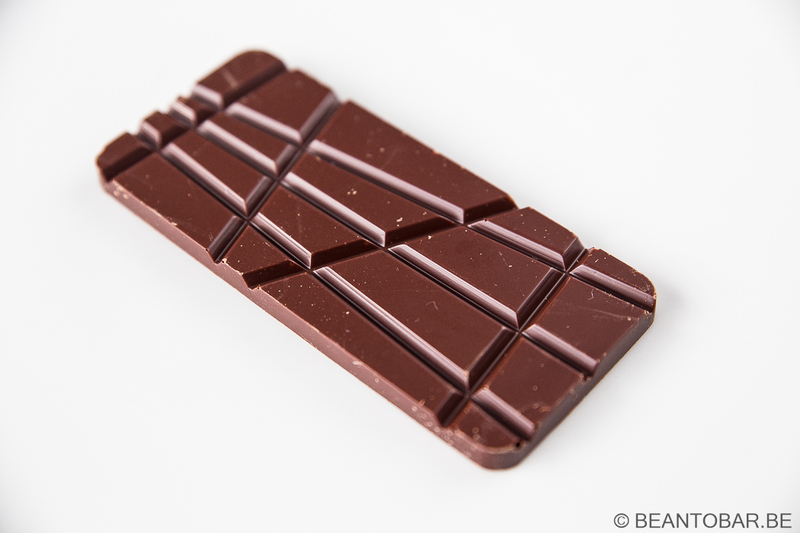 A wonderful design, also used by Chocolatoa – another new Belgian bean to bar chocolate maker. I love the sharp lines and irregular pieces. It simply looks good. Funny twist: a small sticker stating: Gusta, Ik lust da – Gusta, I love it. It took a mere 3 seconds before my three year old son confiscated the sticker. The chocolate itself shines beautifully. It just makes you want to break of a piece and start tasting it. Taste: A sweet and light roasted start. Hazelnuts give way to a very abundant fruity acidity. Red currant and raspberry come to mind. Raisins flows around the main fruit notes. Underneath, a slight earthy and woody undertone forms the base line to let the fruity notes sing. It creates depth in the flavor, Near the end of the melt, a lactic mouthfeel emerges. This keeps the overall flavor very fresh and zingy. For a moment, caramel runs over the palate. The afterflavor is subtle and doesn’t carry the fruits anymore, but keeps the base notes flowing. I was surprised by the length of the after taste. When you give it time, it eventually even goes back to the very starting tone of the chocolate, roasted nuts. The first chocolate for me that seems to go full circle. The texture is a tad coarser than French style chocolates. The melt is very satisfying and smooth, without getting clingy. You can focus on all the nice flavors this bar is releasing. Fruity all the way, this bar is exciting. Especially knowing this is the first batch from a new chocolate maker. Complexity and a satisfying flavor profile makes me proud to know that this in indeed a Belgian product. Ladies and gentlemen, we are back. Finally. Don’t just take my word for it. I was just about done with shooting the pictures for this review, when a small hand came into my view. My son was quiet clear. It’s time to enjoy the bar! If I would have let him, all the chocolate would have been gone.